We told you a couple days ago about Dungeon Boss, a new title from Big Fish Games that epitomizes one of the most exciting aspects of RPG gaming – the boss battle. Of course, you’ll get to face the rank and file of RPG foes before you get to the bosses, and this game isn’t too different from your usual dungeon-based RPG, but boss battles are what this game is about. 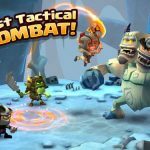 There is an emphasis on beating the bosses, and we did offer some tips earlier in the week on how you can defeat them more consistently. Another aspect of Dungeon Boss is the currency side of things. Coins are the main form of currency, and you’ll pay with them if you want to upgrade your heroes’ skills. Gems are the premium form of currency, and you’ll use these gems to pay for rare heroes. Then you’ve also got honor scrolls, which can be used for portal summons or new items at the in-game store. 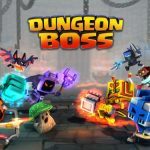 This Dungeon Boss strategy guide focuses on how you can get more free currency in the game, so let’s get to these tips and help you to this end. 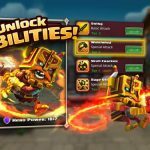 Free coins practically rain down on you in Dungeon Boss. You’ll earn them as you defeat more enemies in the battles and complete more levels. You can also earn coins by completing quests, and once you’ve completed a quest, you’ll want to redeem your rewards right away so you can immediately add them to your coin total. The dungeon’s treasure chest is another place where you can earn a whole lot of coins. As this chest could eventually become full, it could stop earning, no matter how good your rewards are supposed to be. Regularly collect from the treasure chest to prevent this from happening. The My Dungeon feature only becomes available once you’re at Level 8 – that’s still quite early in the game, which should leave you a lot of time to explore its MOBA aspect. Playing in player vs player mode could earn you some big bucks if you win the battle and raid opposing players. 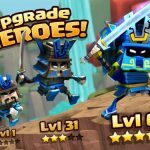 Beating a new level would traditionally reward you with a fair amount of gems, all free of charge – not a great amount nor an abnormally small amount or none at all, just a fair amount. Unfortunately, you won’t be able to earn gems for grinding those levels, though the consolation is that you’ll still earn gold. Instead, what you want to do to get free gems is to complete the final areas of each stage. You’ll be up against some truly formidable foes, but you’ll still get about 60 gems instead of the usual 15 from standard levels. PvP mode can also yield some free gems, and there are gem offers in the in-game store that allow you to pay a nominal fee for these packages. Lastly, you can get honor scrolls from quests or PvP dungeon mode. These scrolls can be yours if you beat any human player in the game, and you’ll get more scrolls if the other person is ranked higher.